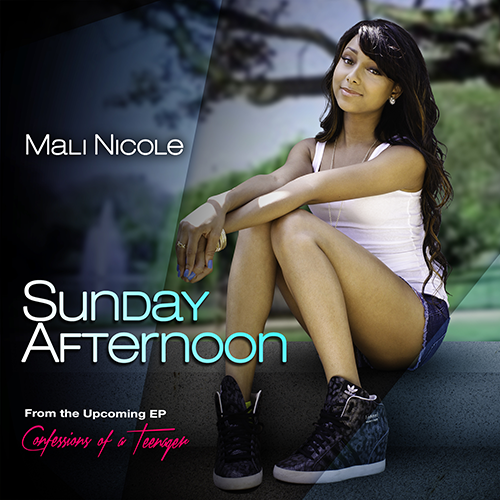 NEW MUSIC: R&B Teen Singer Mali Nicole's "Sunday Afternoon"
Rising 16-year-old R&B starlet Mali Nicole who is signed to same management label as Snoop Dogg, Macy Gray and more released her new single "Afternoon." In this summer anthem, inspired by Lighter Shade of Brown's popular song "On a Afternoon," Mali Nicole sings about partying with her friends and having fun before the summer ends. The single is from her upcoming EP, Confessions of a Teenager due out later this year.